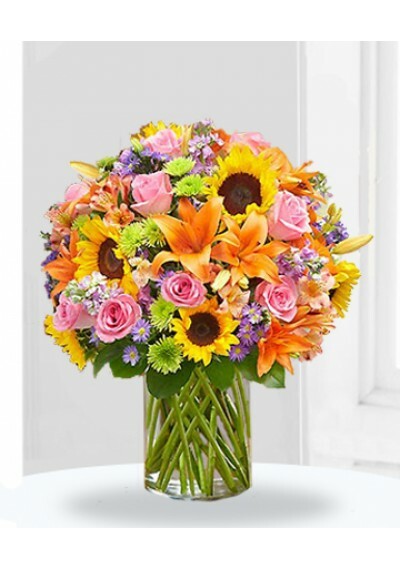 Celebrate a special occasion by lighting up the day with a delivery of The Bright Blue Sky Bouquet. 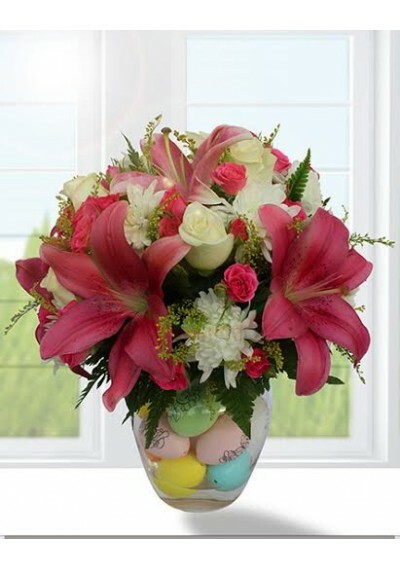 as a easter celebration arrangement. 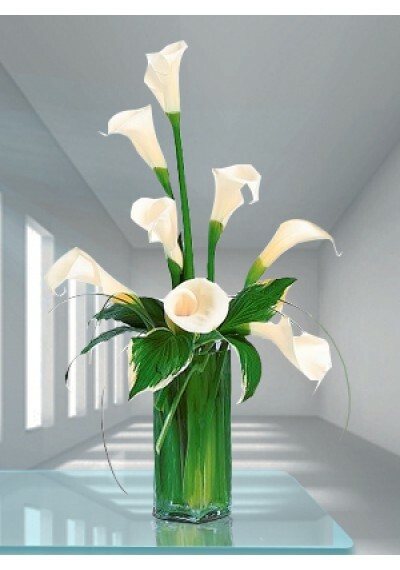 Created with white lilies, Yellow roses and statis blue . 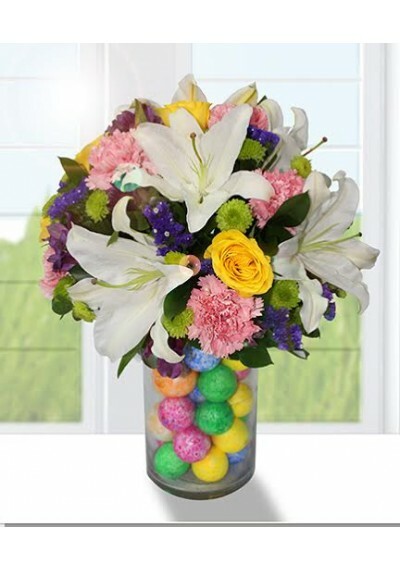 Delivered in a clear glass vase . 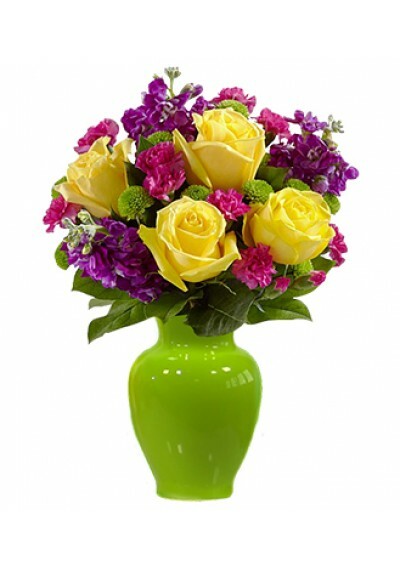 Standard size AED 419.75	6 White Lilles, 10 Yellow Roses, 10 Pink Carnations, 15 Green Chrysanthemum,10 Statis Blue. 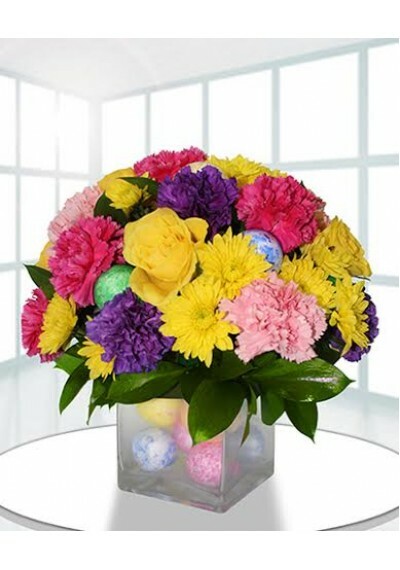 Deluxe size AED 449.75	7 White Lilles, 13 Yellow Roses, 17 Pink Carnations, 22 Green Chrysanthemum,12 Statis Blue. 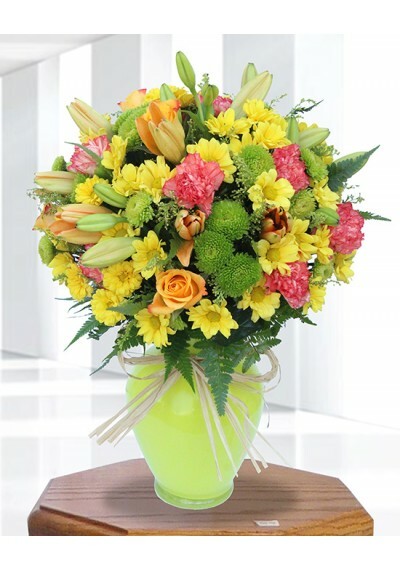 Premium size AED 499.75	8 White Lilles, 15 Yellow Roses, 24 Pink Carnations, 28 Green Chrysanthemum,15 Statis Blue.